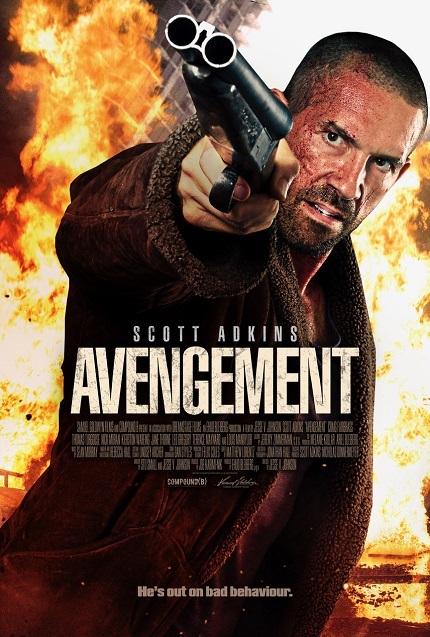 The trailer for Avengement, the hard hitting crime action flick, from Scott Adkins and Jesse V. Johnson, premiered today. In it, Adkins flashes a bright shiny grill and punches his way through the London underground. All of it by the looks of this trailer. I was with a friend the other day who saw Avengement at a market screening. They think that this could be a breakout film for Adkins, one that will get him lead roles in proper studio gigs. Avengement is hitting US cinemas and VOD on May 24th.